This bag's incredible. It's like the Mary Poppins bag! African travel has a reputation for its very specific luggage requirements. As a general rule, we recommend soft, squashable, strong safari holdalls (you can read our full safari luggage packing advice here). 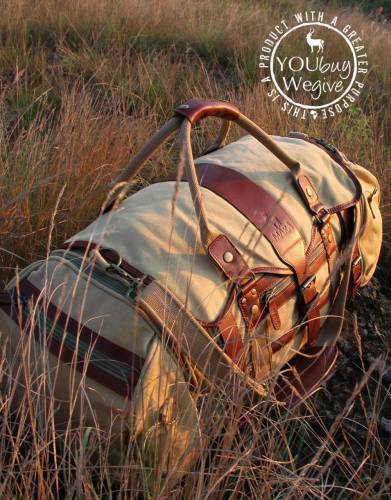 One of the most exciting bags for versatility and convenience on safari is the Mara&Meru™ Safari Voyager. BUILD YOUR OWN SAFARI BAG. 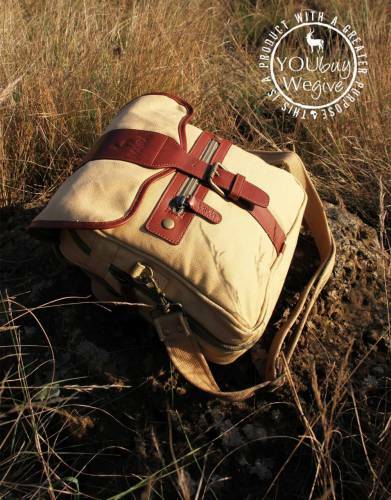 The Mara&Meru™ Safari Voyager Bag comprises a core bag with zip-off side pockets. What makes it special is that the side pockets are smaller standalone bags themselves. When you buy a Voyager, it comes with two side pockets which are also satchels, but the Voyager is entirely customisable and convertible. You can build the safari bag you like with the range of attachments. UPGRADE YOUR SAFARI BAG WITH THE 3-IN-1 ATTACHMENT. The Mara&Meru™ 3-in-1 Bag zips on to the ends of the Voyager Core Bag and has hidden backpack straps and a shoulder strap, giving you the added option of a canvas and leather safari backpack or satchel. CREATE SPACE IN YOUR SAFARI SUITCASE WITH THE 4-IN-1 ATTACHMENT. 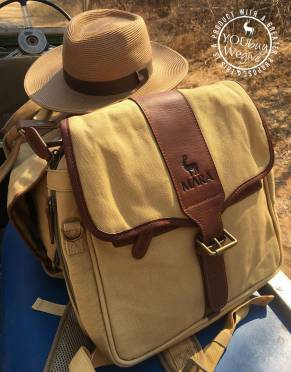 The Mara&Meru™ 4-in-1 Bag is the safari camera bag, satchel, daypack, pocket bag which offers space and adjustable Velcro compartments for the serious safari-goer and photographer. This bag also has hidden, clip-off backpack straps and a shoulder strap so you can choose how to wear it. PICK THE SAFARI SUIT BAG. The Mara&Meru™ Safari Voyager Suit Bag has an additional suit bag built-into the bag for your safari shirts – functionality you will use on your next business trip too. It is soft, squashable, and strong but this luxury holdall is also stylish – giving you a canvas and leather luggage collection you will happily use every day. It is built for African travel. 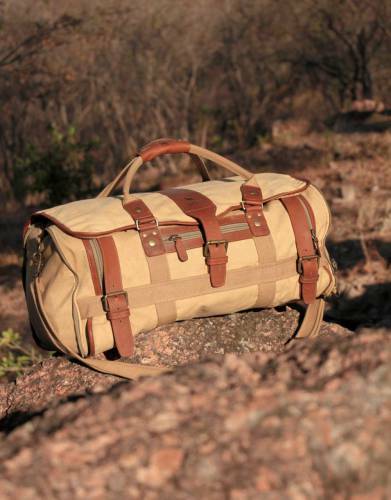 The design and features of this bag and its attachments are exactly what you need for long-haul flights, charter planes, and transfers to the lodge on safari. It is customisable. You choose the add-on safari bags and mix and match to suit your needs. 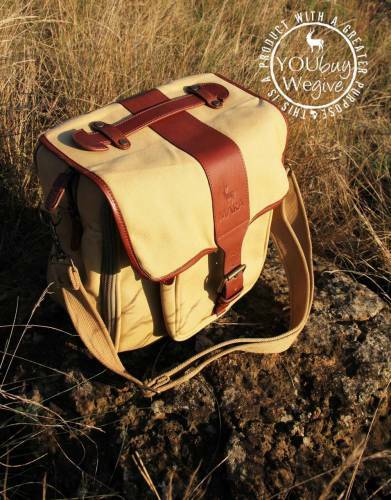 Simply zip off your satchel or backpack for game drives, walking safaris, and outings on all of your travels. 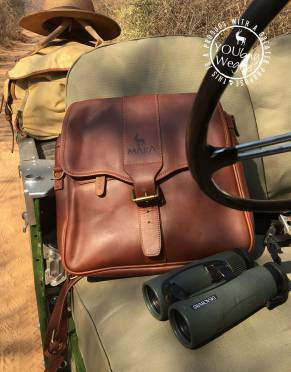 Get your Mara&Meru™ Safari Voyager now.